We pride ourselves on supplying bodybuilding supplement companies with world-class custom manufacturing and best-in-class flavoring capabilities. 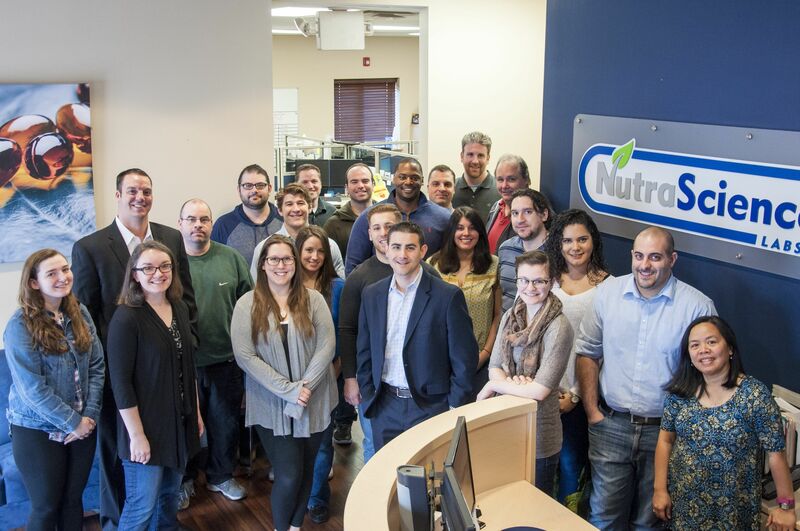 Scroll down to learn how our team can expertly and efficiently create a custom dietary supplement product for you that will stand out in today's competitive market. In today's competitive marketplace, choosing the right high quality dietary supplement ingredients for your bodybuilding and sports nutrition formulations is essential. Modern fitness enthusiasts can come in all shapes and sizes - from the long-distance runners, athletic weightlifters, and professional muscle mass builders to the work out beginner or “summer body” enthusiast. Best-in-class flavoring capabilities. Bring us your ideas and we'll make them a reality. We can create customized powders for pre- and post-workout recovery, plant-based protein products, amino acids, and more! Our dedicated production specialists will take the time to understand your clientele’s unique needs and work with you in order to craft the ideal combination of nutrients, vitamins, minerals, amino acids, and more. Our team can help you develop your own, unique products that can help take your supplement brand to the next level. Some of our most popular sports nutrition specialties include: Bodybuilding, Pre-Workout, Muscle Growth and/or Gain, Weight Gain, Physical Fitness and Endurance, Weight Loss, Post Workout / Recovery, Energy for Exercise and Physical Training, Distance Running. Having a great-tasting product is one of the many keys to success in the bodybuilding supplement industry and we believe we're the best at it. While we can create standard flavors like chocolate, vanilla, and strawberry, we encourage you to bring us your out-of-the-box ideas! Our team will work diligently to make your concept come alive in the form of a great-tasting powder that is sure to stand out in the marketplace. We provide live phone support 24/7/365 and assign a dedicated Production Specialist to your account. This person will oversee every aspect of your project to ensure that your finished product meets your specifications and expectations. Every Production Specialist that works for us possesses extensive knowledge and work experience in the industry. All of our dietary supplement manufacturing services are completed in a cGMP Certified facility. 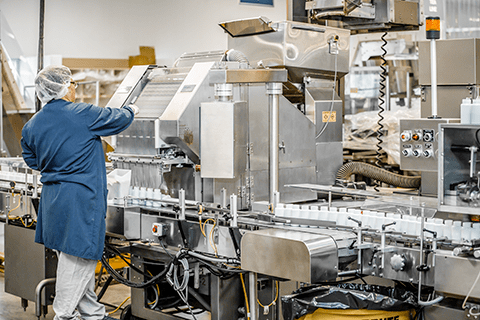 The speed of our state-of-the-art equipment and our ample supply of raw materials allow us to deliver industry-leading product turnaround times. We are bodybuilding supplement manufacturers that don't believe in cutting corners to deliver products faster. All of the supplements and vitamins we manufacture undergo stringent quality control procedures. Such testing can include HPLC, IR, GC, ICP, and UV analysis as appropriate to your product. Label and Packaging Design Services - We offer an extensive selection of bottling and secondary packaging solutions, including glass jars, PET bottles, and stick packs, that protect your product and enhance its marketability. After you select the packaging design for your product, our talented in-house graphic artists can either create a label from scratch or update your existing design. We can even apply one of our custom finishes to your label to give a unique look! Storage, Fulfillment, and Drop Shipping - Need a place to store your inventory or a solution to effectively ship and track orders? NutraScience Labs can help you with all of that. Our on-site warehouse is a cGMP Certified facility by NSF so that you can store your products. Plus, you can avoid the hassle of shipping and tracking orders on your own by taking advantage of our convenient order fulfillment services. 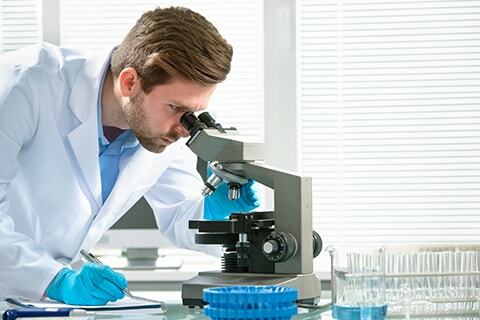 Whether you're entering the industry for the first time, need a new bodybuilding supplement manufacturer or are thinking about adding a new product to your line, NutraScience Labs can meet all of your needs. Take the first step now to see how we can assist you! Start the bodybuilding supplement manufacturing process by requesting your custom price quote.